Don't under estimate yourself, and over estimate your competition!" MindyBorn and raised in a small agricultural town in California, Mindy began to take an interest for music at 10 years old, when she belonged to a ballet folklórico dance group called, “Nuevo Amanecer”. Initially, Mindy began playing around at home, and school, soon there after the dance group would use her to fill in the time, during which the dancers would change costumes. Gradually, Mindy began getting exposure and gaining confidence while performing. Mindy began singing traditional Mexican music of Mariachi and quickly had performances lined up in various local events, churches, family functions, and mariachi festivals. 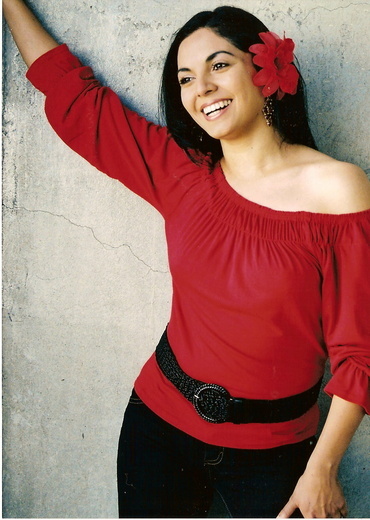 She performed at various Mariachi Festivals and Competitions around California, such as, Fresno Convention Center, “Viva El Mariachi” and the San José Mariachi Festival to name a few. In 1998, Mindy signed a record deal with EMI Latin to record an album of 10 songs. The album titled, Mindy: “Alma Y Corazon,” was released in 1999, under the direction of José Behar. 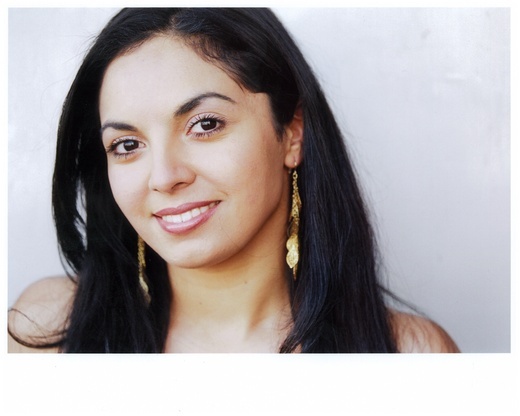 For the album, Mindy was able to change styles, recording tracks of cumbias and baladas. In promotion with this album she performed up and down California and Texas, did a radio tour, started a “Mindy Fan Club,” and shot her first music video, titled, “Diganle.” One of Mindy’s most memorable presentations was when she was invited to sing at the “National: Los Programadores Convention” in Santa Barbara, Ca, where she shared the stage with Juan Gabriel, and many other artists. Mindy’s future was looking very promising until in 2001 her world came crashing down. October 2001 she was involved in an automobile accident that nearly took her life. During which time, she was working on her second album for EMI, just about finished. Mindy was forced to put her career on hold for a few years to focus on her health and well being. This experience for her was a “blessing from God,” and an opportunity for her to give back and to continue with a dream of becoming an international singer. With this miracle, Mindy has learned to appreciate every day as if it were her last, and to let nothing and nobody take away her dream. Mindy has developed a diverse portfolio of song lyrics and truly enjoys expressing herself as a songwriter. Mindy has also branched out and touched on some modeling projects, in order to develop into a well-rounded artist. In terms of education, Mindy holds her A.A. in Criminal Justice, is a licensed Realtor, and is applying to be a Registered Nurse. She is a well-rounded Latina, singer/songwriter with the ambition and drive to conquer the music industry. Reached 19th in Best of Pop chart in 2013. In the top 20 for 1 week. Reached 44th in Best of Pop chart in 2011. In the top 100 for 3 weeks.